June | 2012 | Syed Jahanzaib Personal Blog to Share Knowledge ! I was installing vmware esxi on my test lab PC (Intel Desktop Board with RTL 8111 chipset NIC) but the Installation failed after I accepted the EULA and system halted. I tried several times to restart the installation but with the same error. After some googling , I found that my NIC was not in ESXi HCL (Hardware Compatibility List), This message usually points to incompatible NICs. The list of supported components is short for a reason. Most embedded NICs on desktop motherboards just do not stand up well under load. Since in a virtual environment all the Virtual machines are sharing the NICs it doesn’t make much sense to even consider supporting something that isn’t well proven. Fortunately I found driver pack for rtl 8111 , but I had to do some driver injection in ESXi ISO File. Following is the procedure on How I solve this problem. Now cick on RUN to execute process . Once the operation begins, you will see something like below . . .
After completion of the process, it will notify you with the success results. Now burn this updated file on the Cd, and boot from this CD on your Server, and this time it will boot smoothly without giving you the error. 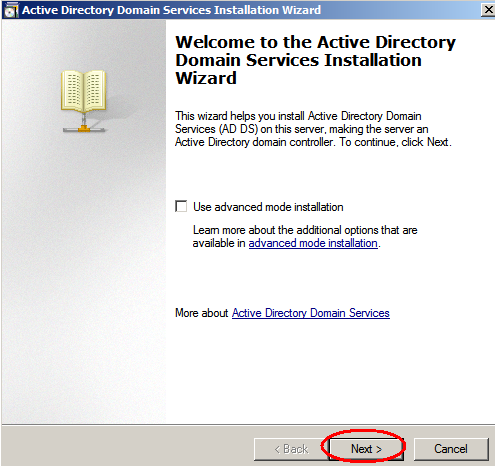 Recently I upgraded my company Active Directory infra structure from 2003 32bit to AD 2008 64bit. As we all know that direct upgrade from 2003 x86 to 2008 x64 is not possible, so it was a bit lengthy process , therefore I saved all the procedure in this small howto. 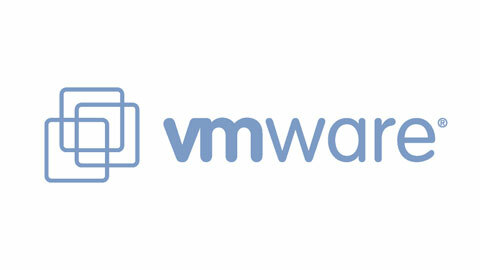 I first tested the whole scenario in a VM environment, and then implemented it on our Live Production Servers. This guide was written so that it may be helpful for others and also it will be reference guide to me for future retrieval. I first uninstalled the ADC to make things simpler. Then I installed Windows 2008 x64 on VM and configure it as ADC of Windows 2003 DC. 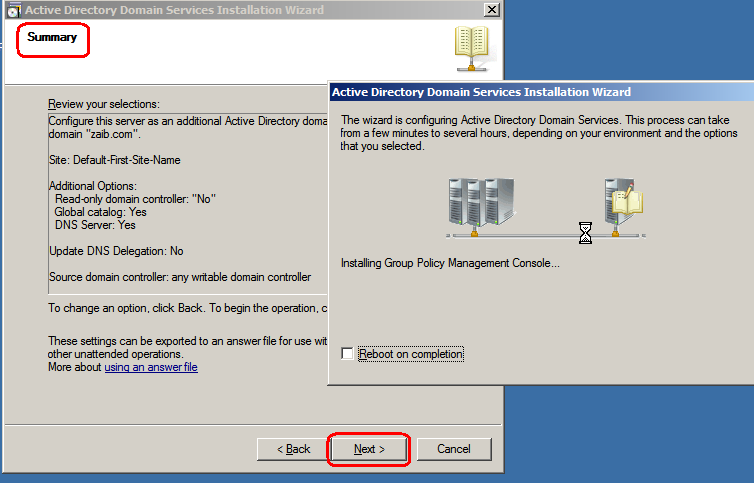 # Run dcpromo on Windows 2003 to remove AD, after reboot, unjoin it from domain. # Clear Win2003 old DC records from Windows 2008 DNS / Sites / Domain controller. In this article, following naming schemes were used. & Click NEXT to continue. 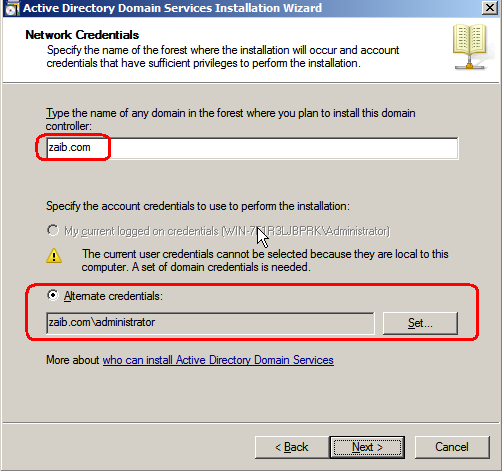 in Alternate Credentials, click on SET , and enter your Domain Administrator ID & Password. and Click NEXT to continue. 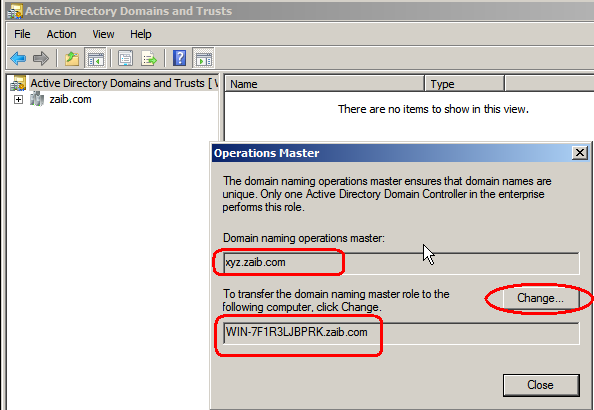 – On Select a Domain screen, click on your domain name e.g zaib.com and Click NEXT to continue. On Select a Site, Click on Default First Site-name, and Click NEXT to continue. 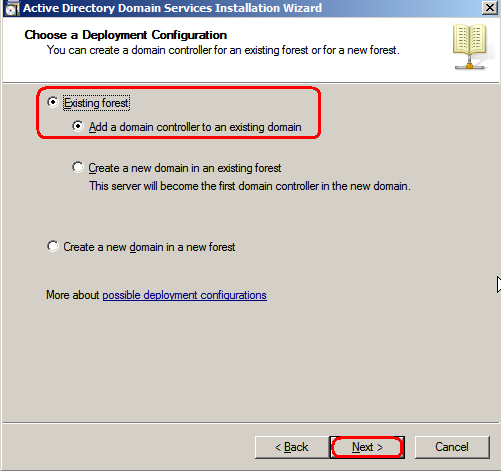 On Additional Domain Controller Options. Click NEXT to continue. 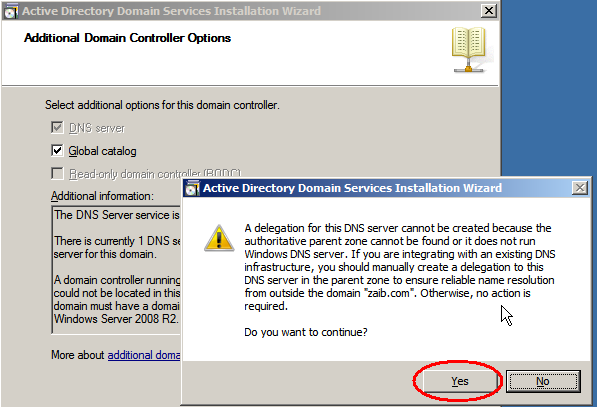 Another warning screen may popup, telling you about DNS warning, Click YES to continue. in Next screen, it will inform you about the locations where AD Database will be copied. 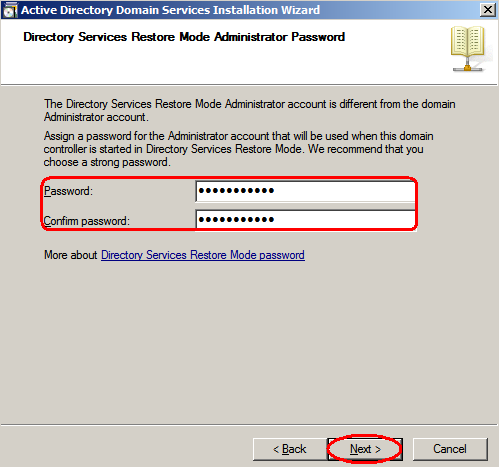 in Next Screen, it will ask you to enter DSRM password, this is the password required when you run Windows in Directory Services Restore Mode to restore /troubleshoot AD, Enter your desired password and Click NEXT to continue. on Summary Window, It will show you all the info , Click on NEXT to continue. After it completes, simply Reboot. Ok its time to transfer FIVE FSMO ROLES from Windows 2003 to Windows 2008 Server. 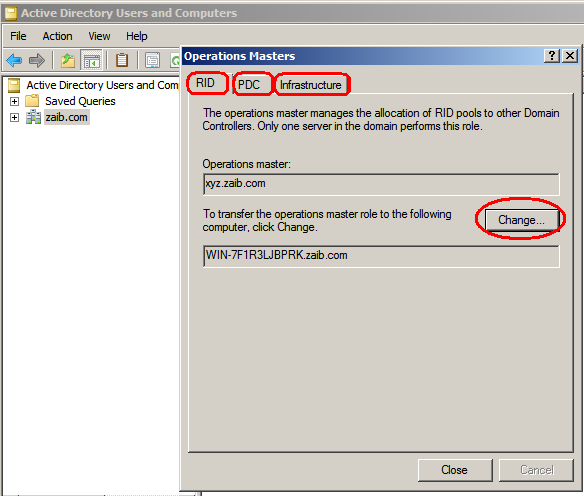 On Windows 2008 Server, Open ADUC and transfer following 3 roles. Now you will see something like below image. 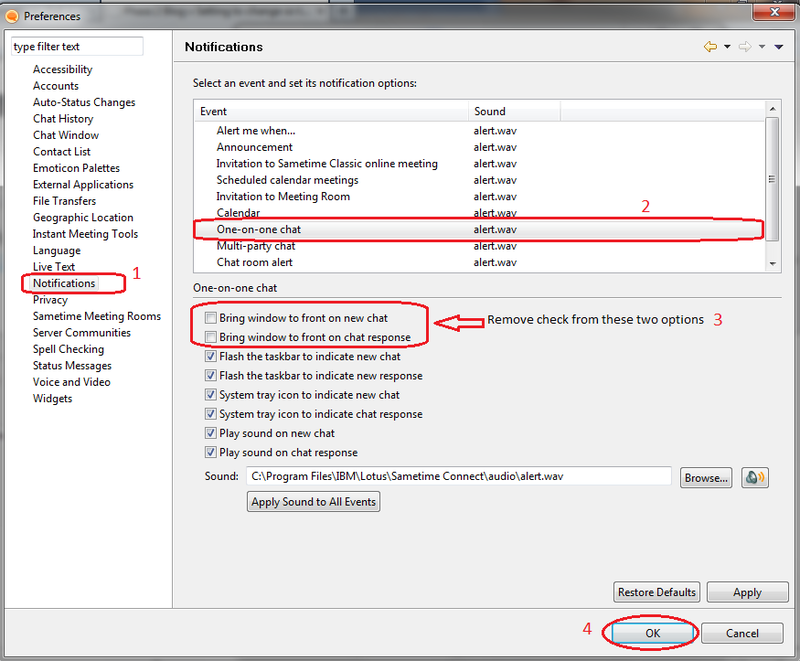 On RID, click CHANGE , it will ask your confirmation, Click on YES, & the role will be transfer to windows 2008 ADC. Repeat this process for PDC and Infra roles. 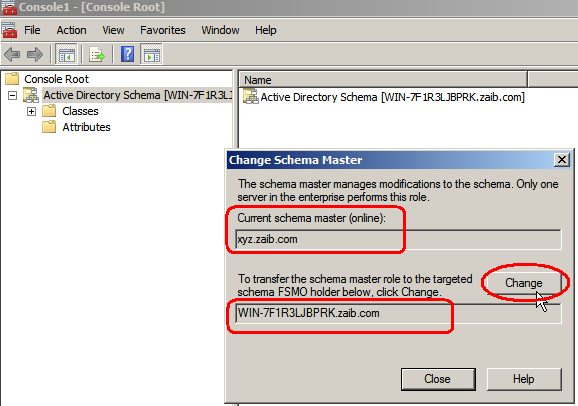 Now we will transfer 4th role , which is called SCHEMA MASTER. and click Ok to close this window. Click on Change, and select YES when asked, it will transfer the OM role to your ADC. For better explaination of roles transfer, pelase see following guide. All Done !!! Your ADC is now fully functional Domain Controller. 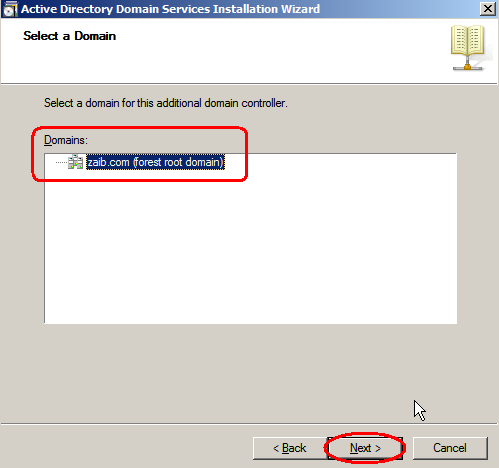 # Now remove AD from your Old Windows 2003 DC by running dcpromo. At end it will give you error that it fails to remove AD, Don’t worry, re-run the dcpromo again, and this time it will smoothly remove AD from 2003 server. If it somehow failed to remove , you can use /forceRemoaval switch alongwith dcpromo to forcefully remove it. 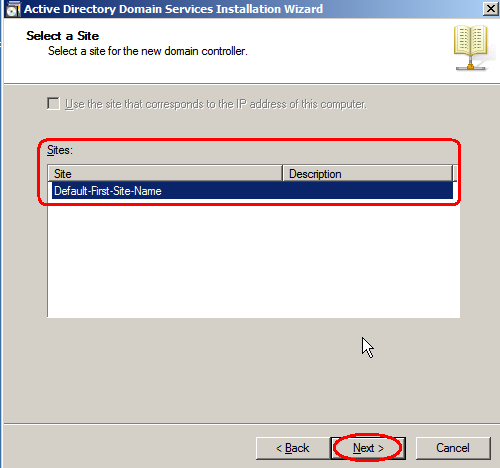 # Also don’t forget to remove the of W2003 DC DNS Entry on Windows 2008 DNS Server. # Also remove 2003 DC Entry from AD Sites. You can also use metadata to clean the old entries. 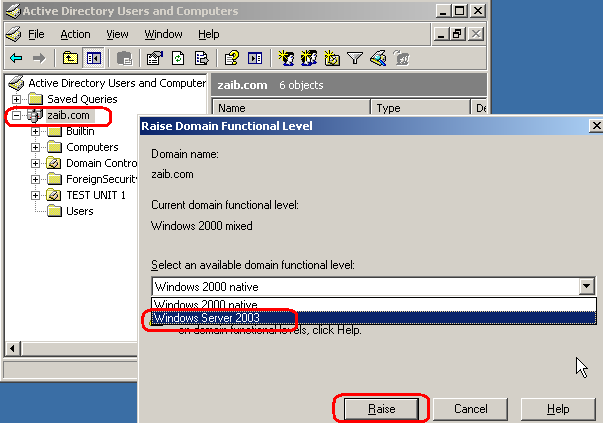 # If Windows 2008 DNS server fail to replicate dns entries from 2003 dns, make sure ZONE TRANSFER is selected in Windows 2003 DC‘s DNS Server. 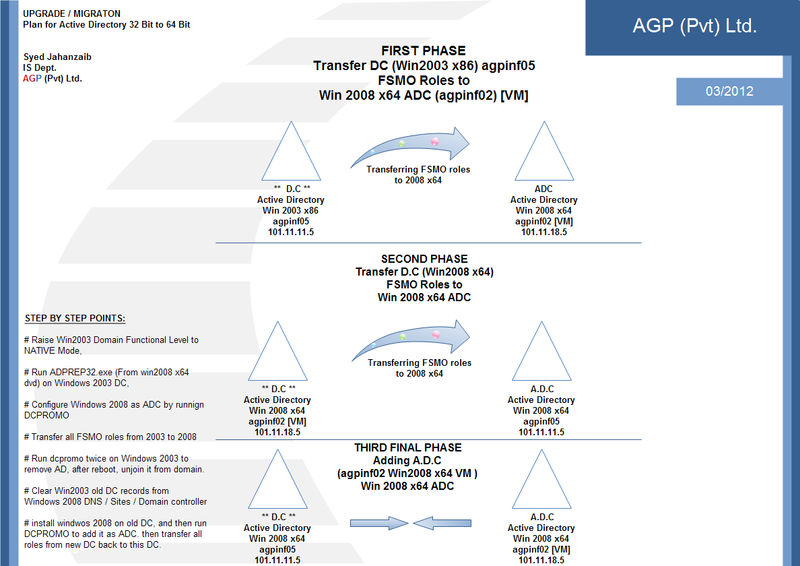 # So far we have manage to transfer all FSMO roles from Windows 2003 to Windows 2008, Now we want to move this Newly DC back to old machine so that IP address should remain same as previous old DC and also we will add ADC for this new DC. 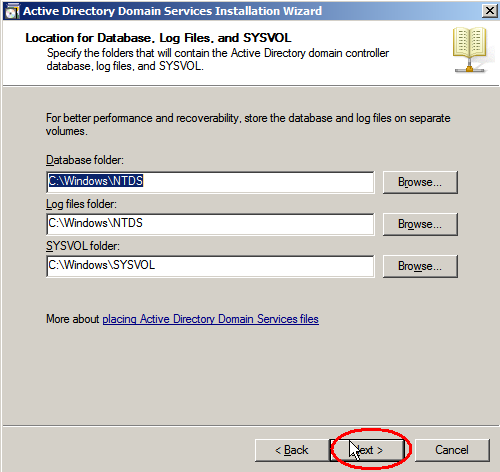 Now remove AD from old 2008 DC, and again run dcpromo to make it ADC of 2008 x64. I will write more data on this with some upgraded screenshots . . .
We are using IBM Lotus Domino Mail Server ver 8.5.3 / FP6. From past few days, Some of our Lotus Notes Users were getting “winmail.dat” in attachments & they were unable to open it . After some research it revealed that the the sender is usually from Mircosoft Exchange/Outlook User. After some googling, I was able to sort it out. & issue the following commands , Paste following two commands , one at a time . . . The problem is that Outlook is tunneling rich text formatted information in an attachment through the Internet using a proprietary format (by Microsoft), rather than MIME (an Internet standard). Microsoft opened up the format so other vendors could read the content, and IBM and other vendors have included that ability in later patches. For more info, please read the below article from IBM.